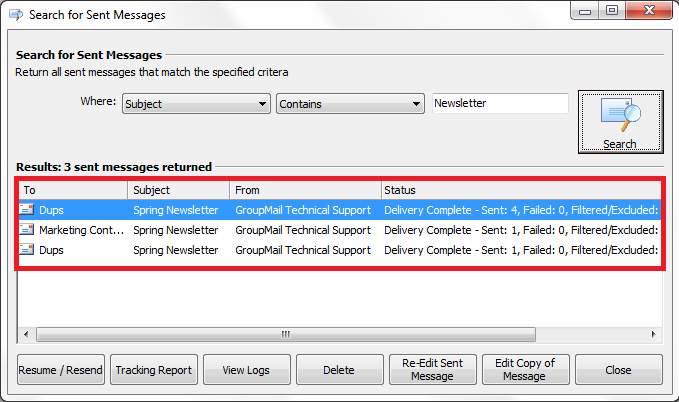 Can I run a ‘Search’ on my Sent Messages in GroupMail ? In GroupMail, go to Messages, Sent Messages. Right Click on the Sent Messages. This brings up the “Search for Sent Messages” screen. It gives you the option to Search by Subject or Message Body. Let’s run a Search for all Messages where the Subject “Contains” the text ‘Newsletter‘, this is just an example. Notice we type the text ‘Newsletter’ into the field and then press the Search Button. This will now return all previously sent messages that match this criteria. From the Search Results screen there are a number of buttons you can choose from. Resume \ Resend – Allows you to resume\resend your sent message. Tracking Report – Allows you to view your Insights Tracking Reports. 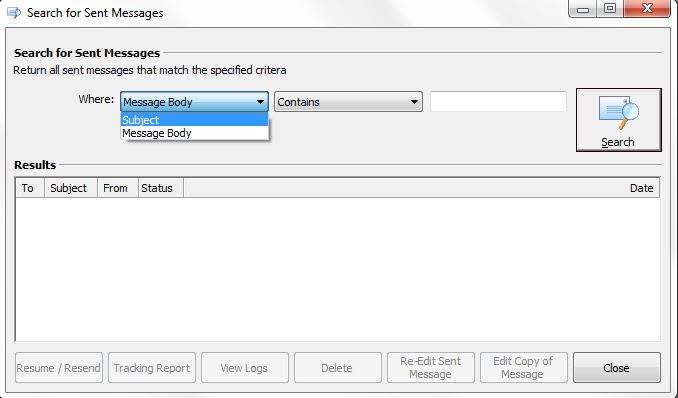 View Logs – Allows you to view all Log Files associated with this Sent Message. 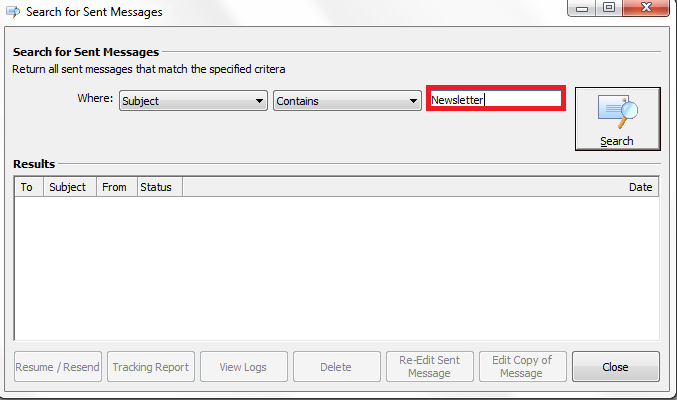 Delete – Allows you to delete the selected message. 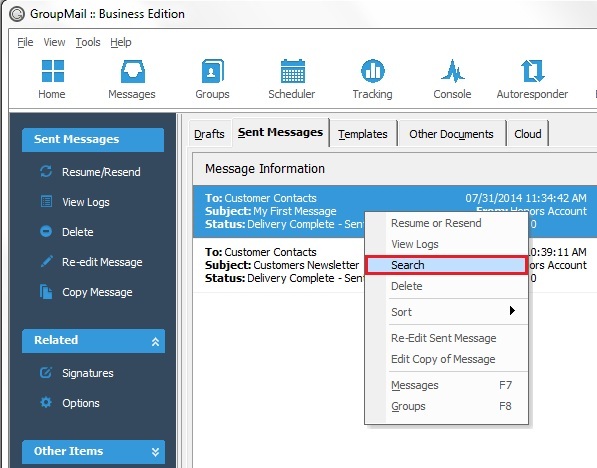 Edit Copy of Message – Allows you to open a Copy of this Sent Message. Close – Simply Closes the Search Screen.